Happy Thanksgiving! Here Is What We’re Thankful For! Happy Thanksgiving! Today is the day you should be spending with your family and reflecting on the great things you’ve got going for you. Instead of your regularly scheduled programming, we figured we’d share what we are each most thankful for today. In 2014, I am thankful for the connections I have made and opportunities that have been presented to me. I am thankful for the challenges I have encountered for forcing me to push myself harder to overcome them. I am thankful for the Internet, seriously where would I be or what would I be doing without it? And most of all I am thankful for my family. I’m thankful for my family and the ability to create art. I’m thankful for my family and friends because they support me in everything I do. I love them all, thank you. I am thankful for free will, art and for love. I am not a firm believer in Thanksgiving holiday because of the insensitiveness of what the holiday represent. As I respect our Native American brethren, I want to take the time to show respect and humility. Let’s take this day to be grateful, thankful and loving to ourselves, loved ones, and all of our ancestors. Besides all of the delicious home cooked meals that will be prepared on November 27th, what else are you thankful for? I would like to take a moment and thank all of the men and women who are currently serving or have previously served in the United States Armed Forces. Each day these willing soldiers risk their lives to keep ours safe. Thank you so much for all of your service that you have provided to keep our homeland safe. Thank you so much for providing a freedom that not everyone gets to experience. Thank you to the men and women of the Army, Navy, Air Force, Marine Corps, and Coast Guard who continue to guarantee my freedom. I’m thankful for my family. The support and love they give me is unbelievable, I’m truly lucky to have the people in my life that I do. Even though most of them don’t quite understand what I do for a living, they still support me because it’s what I love and dream of. Thank you, I love you guys! 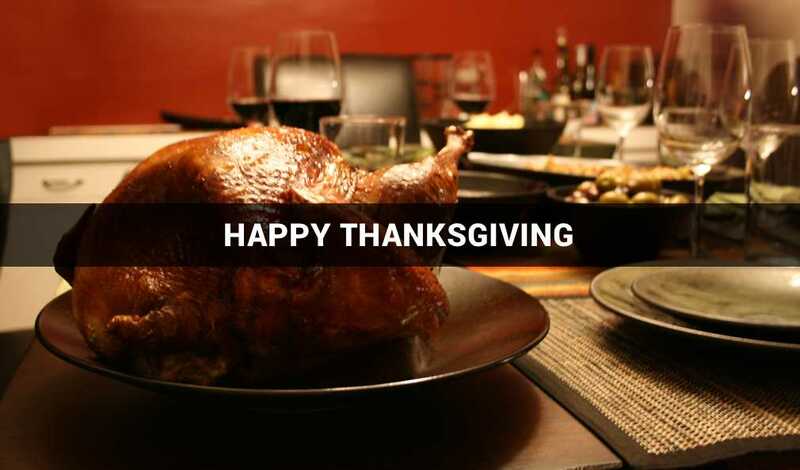 Thanks for checking in with us on Thanksgiving. Have a great day! We’ll be back with a new post tomorrow!